Last night, the south continued its relentless death-dealing march into the past. While the rest of the civilized world has long since abandoned biblical “eye for an eye” judicial policies, “pro-life” states like Georgia, just can’t seem to shake their need to keep taking life. Eighteen years after she conspired with her boyfriend to kill her husband, Kelly Gissendaner was put to death by lethal injection at 12:21 am on Wednesday. The execution, which had been delayed several times, took place hours after Georgia’s State Board of Pardons and Paroles declined to grant her clemency and several emergency appeals to state and federal courts failed. 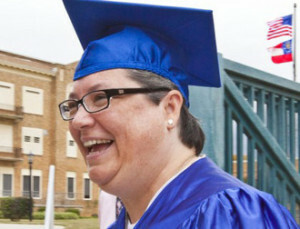 Gissendaner, who became deeply religious in prison and graduated from an inmate theology program, sang Amazing Grace before she was injected with the fatal drugs, witnesses told NBCNews. In 1997, Gissendaner plotted to kill her husband Douglas, with the help of boyfriend Gregory Owen. Owen stabbed the victim in the neck and back, killing him. But after taking a plea deal and testifying against Gissendaner, he received a life sentence with the possibility of parole in 2022. Gissendaner, on the other hand, was sentenced to capital punishment for convincing her boyfriend to commit the crime. Appeals on different questions of the case — from the legality of the drugs used to kill her to whether the death penalty should apply to people who are not physically involved in a murder to whether prison guards were discouraged from testifying on her behalf — wound their way through the courts on Tuesday night. Four sitting judges, including Supreme Court Justice Sonia Sotomayor, said they would have granted her a stay, but it was not enough.